Lately I keep coming across the most adorable button crafts. I seriously want to do them all. The Freckled Nest has two fantastic button crafts that are so cute I had to share them both. First, Spring Button Flowers – This is adorable and I love the simplicity of it. Second, a Framed Cork Display Case for a Button Collection – This reminds me of butterfly specimens and would be perfect to hang in a craft room. The Factory Direct Craft Blog has a wonderful tutorial on how to make fun button stamps using wine corks and interesting buttons. Ellen’s Creative Passage shows how to make a few different beautiful button bracelets. I especially love this blue one. 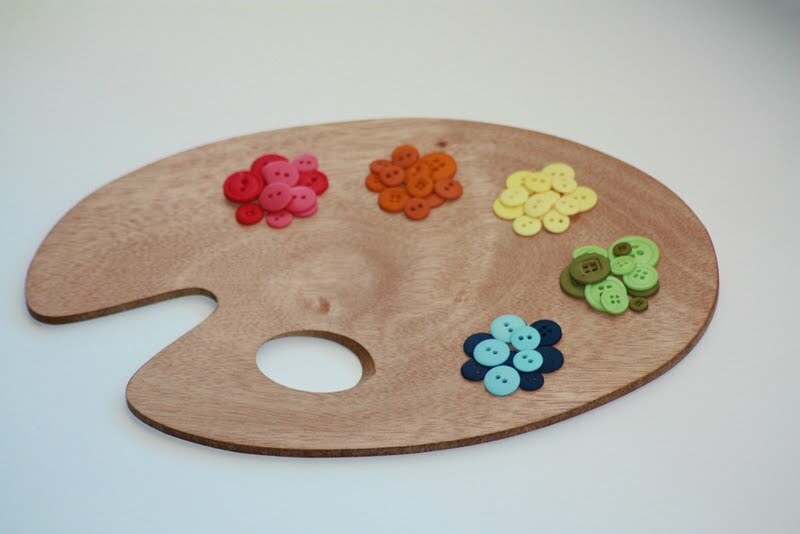 I saw this button color palette at Creating While Waiting. What a cute idea! 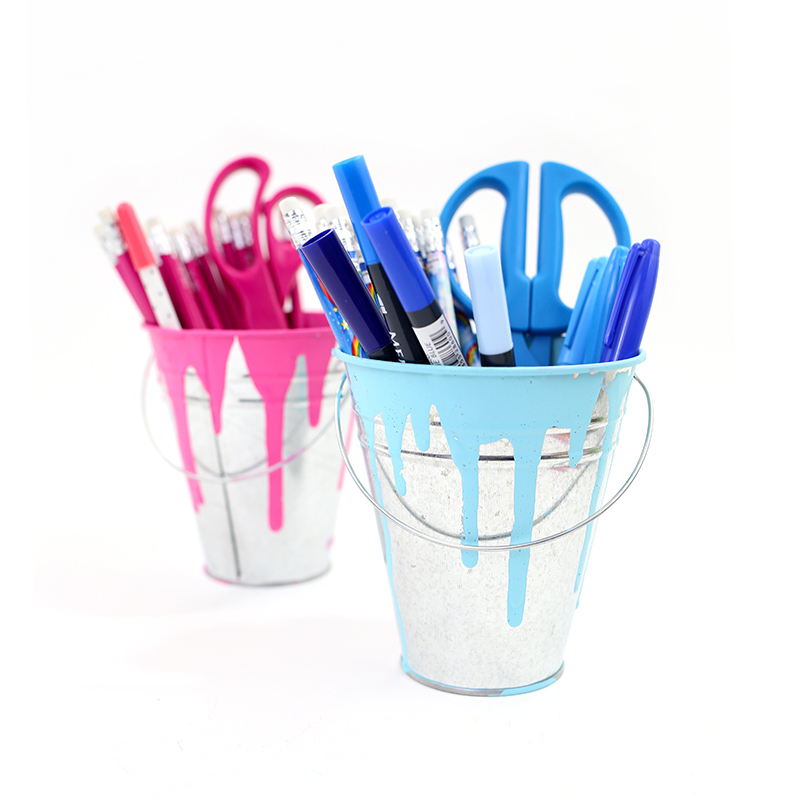 This would look wonderful in a craft area. I love this button explosion t-shirt from iCandy Handmade. This looks like such a fun way to dress up or personalize a plain t-shirt. At MarthaStewart.com there is a great simple tutorial on how to turn your favorite buttons into cute little fridge magnets. I love love love scanner art and I think it can be such a fun activity to do with kids (or all on your own). Artful Adventures shares a wonderful tutorial on how to create scanner art with your kids, and I love this button scanner art. New House Project shares a great button matching activity for kids. I saw this homemade button clock on JAMdesigns (ETSY). What a fantastic idea and how adorable this would look in a kids room or nursery. 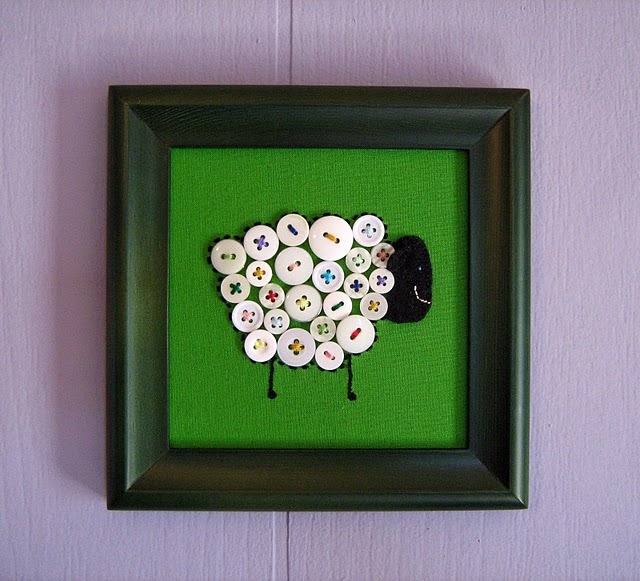 This button sheep wall hanging from Fowl Single File is just too cute. I love the white buttons against the green background. This would be so precious in a nursery as well. Artsy Crafty Babe has a great and helpful tutorial on how to make these button flower pins. They look like a lot of fun to make. I love these simple button bobby pins from A Homemaker’s Journal. These are so adorable, and I especially love the buttons that Christina used here. These girly button rings from Little Birdie Secrets are so cute. 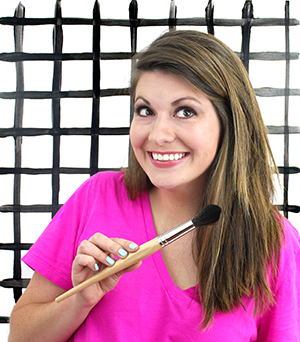 Little Birdie Secrets also has a few other great button tutorials that you have to check out. This monogrammed button letter A from American Crafts is amazing. This would be a spectacular project to hang in a nursery or kid’s room. 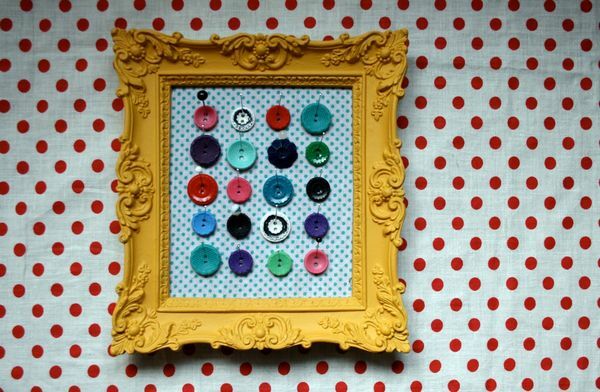 I hope you all enjoy looking at these great button crafts and projects. Let me know if you try any of them yourselves. Also if you have been featured feel free to grab the featured button (on the right sidebar) for your blog. 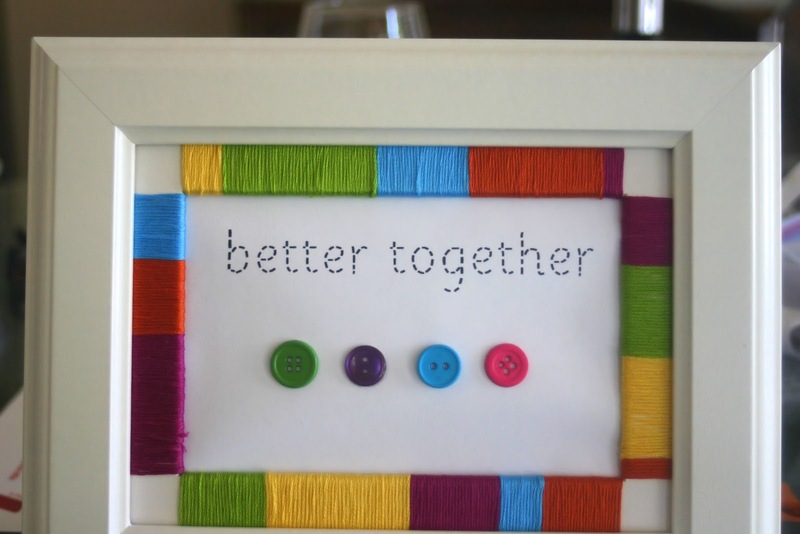 “Better Together” – Choose a button to represent each member of the family. Thanks so much for featuring my button bracelets!! How amazing! My husband is always asking when I'm going to do something with all those buttons. I tell him I use them, there is just so many. Lol! I'm a total button junkie, love them ALL – especially that adorable woolly sheep. How cute is that?! I love love love this post! I have so many extra buttons, Im going to have to start a few projects now. Thanks so much for featuring my button idea! I LOVE the collection you put together. So many good ideas! 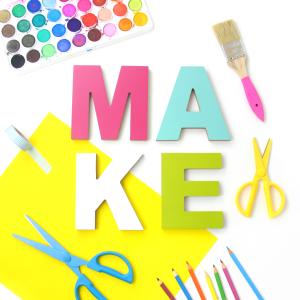 Visiting from Dittle Dattle – love these buttons crafts! I saved a couple in my inspiration file for my daughter's gallery wall. Love the monogram. Thanks for sharing! I love buttons, thans for sharing these cool ideas! Stopping over from Funky Polkadot. 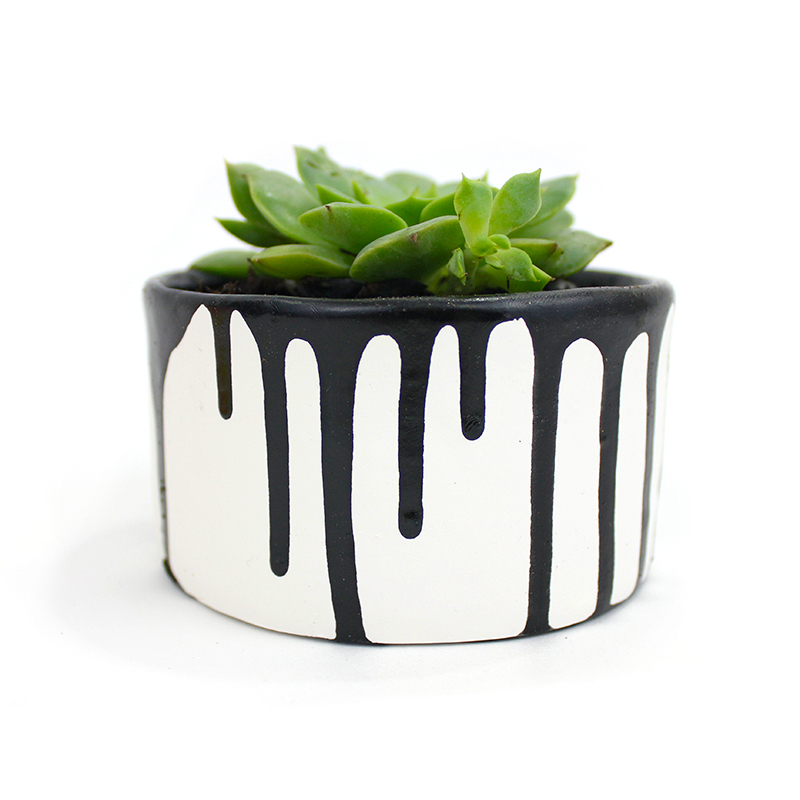 I just love the button stamp idea. I'm definitely going to give that one a try. Thanks for sharing. Rose has tons of buttons. Going to give some of these a try! Oh gosh, that sheep is SO CUTE! These are all so cute! I love the sheep and the first one! Buttons are so much fun…you can never have too many! OMG!!! this is soo stinkin cute!!!! i'm obsessed with button! i LOVE the lamb!! This would be such great nursery art! thanks for sharing! What a fun round-up. I like them all! You've inspired me to make something for my laundry room. I'm glad you like the button sheep! I'm so tickled to see it up there. Looks like I need to whip out more buttons so I can try those other cute projects you listed! What fun! I love buttons but never quite know what to do with them. I can't wait to make shirts and wall hangings galore! Thanks so much for featuring my scanner art. Some wonderful ideas here – my favourite is the sheep! I love the picture of the monogram letter filled with buttons. I am so going to make one of those for my daughter's room. i am loving all these ideas!!! Love the button initial in the frame so cute, going to try this. Love ALL of these ideas. Birds flying over the rainbow is my favorite. thanks for sharing.